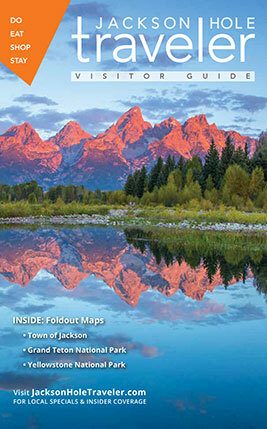 Jackson Hole has two fantastic guided rafting options during the summer: whitewater rafting and scenic floating. Which one is perfect for you? Whether you’re an adventuresome landlubber, a water-baby in need of your summertime fix, or just someone looking to spice up your vacation, you can’t go wrong with a rafting trip on the Snake River. Numerous outfitters guide trips through the Class II and III rapids that churn through the Snake River Canyon to the south of Jackson, and the mellow, spectacularly scenic stretches of the Snake River that wind through Grand Teton National Park. Let’s get one thing out of the way right off the bat: both are a great way to experience Jackson Hole’s diverse scenery and geology. Do both if you can! However, if you’re short on time or not sure about the right trip for your group based on your interests, we cover it all here. During a float trip through Grand Teton National Park or the southern stretch of the Snake River near South Park, you’ll only get soaked if you want to hop out of the boat and swim. The lazily flowing waters make these stretches of the Snake River ideal for wildlife viewing and catching unique, ever-shifting views of the Tetons and Gros Ventre mountain ranges. The chance that your boat will flip is minimal, and the views are the only thing that should get your heart rate up. If you want to brave the Snake River Canyon, expect a rock-and-roll thrill ride that will have you dripping wet and beaming from ear to ear. Of course, there’s no shortage of glorious views and wildlife viewing opportunities-they’re just interspersed with jolts of adrenaline as you and your paddling companions maneuver the raft through gushing rapids. Safety: Though whitewater rafting is steeped in thrills, it’s actually very safe. Contrary to popular belief, falling out of the raft is not catastrophic, or even that big of a deal. The biggest sources of danger come from sunburn and accidental contact with other people or gear in your boat. Duration: A standard run down the 8-mile stretch flowing through the Snake River Canyon can take anywhere from 45 minutes to an hour and half, depending on the water levels. Including transportation to and from the Snake River Canyon, the entirety of the trip takes approximately three and a half hours-leaving you plenty of time to get in a hike or afternoon on the town. It's a good time to set aside 4 hours total for your trip in order to avoid cutting things too close. Ages: Though white-water rafting is appropriate for most ages, check with your outfitter of choice before taking your children down the river. Usually ages 6 and up are permitted. If you are a senior citizen with good enough cardiac health to handle roller-coaster style thrills, you shouldn’t have any problems in the Snake River Canyon. In early season, when the water is high, companies recommend that all boaters are over fourteen years of age. When the water levels thin out as the summer progresses, boaters as young as six are good to go! Activity Level: You’ll get a pleasant workout running the Snake River Canyon. Your guide will sit in the back of the boat and steer with either one or two oars, while you and your floating companions paddle in tandem to provide momentum. The activity is neither constant nor terribly strenuous, but will require some exertion, so be sure you’re feeling healthy enough for a mild workout. Will I get wet? Yes, you will be on the receiving end of some big splashes during your whitewater adventure, especially if you are sitting closer to the front of the raft. However, it will likely feel refreshing after being outside in the sun! Swimming: Non-swimmers are A-OK to go whitewater rafting. Everyone will be strapped into a high-grade lifejacket for the duration of the trip, and your experienced guide will ensure the safety of your party members whether they’re floating in or outside of the boat. If you decide on this laid-back approach to river trips, we’d like to congratulate you. Floating down the Snake with the Tetons looming over your shoulder is a meditative experience that is “awesome” in the truest sense of the word. Will I get wet? You will stay dry during your scenic float. The water moves lazily and most outfitters equip their boats with splash guards. Bring a camera to catch dramatic snapshots of wildlife, as well as the varying views of the Teton skyline. Binoculars can also come in handy for identifying high-flying birds and far off critters. Duration: If you decide to float within the boundaries of Grand Teton National Park, your trip will generally last around two to two and a half hours and cover a ten mile stretch of river. Scenic floats running the South Park stretch of the Snake are thirteen miles long, and take roughly an hour and a half to float. Your outfitter will get you to and from the put-in and takeout, and the entire duration of the trip will be around three hours. As the summer progresses, the water-levels drop and slow the trip down a tad, which is all the better for enjoying the scenery! In general, allocate 4 hours for a float in order to avoid missing other activities. Activity Level: No need to worry about over-exerting yourself during a scenic float. Unlike a white-water trip, passengers need not paddle. The guide acts as rudder and oarsman the entire time. Ages: Children 4 and up are permitted on scenic float trips, though you can check with your outfitter to be sure. A whitewater rafting expedition is perfect for you if you loved roller coasters as a kid, are a bit of a water fiend, and appreciate a dash of excitement every now and again. If, on the other hand, you're in the mood for something more contemplative and would like to be able to get some great shots of the Tetons and (hopefully) some stellar wildlife shots as well, a scenic float is likely more your ticket. Both are safe, fun, and family-friendly. We've got this one glorious waterway--why not explore it in every way you can? Black Dog Raft Company is Jackson Hole's premier rafting company for unforgettable scenic floats down the Snake River. With several trips to choose from, simply sit back, relax, look for wildlife and enjoy the view. Leave the paddling to us. Mad River Boat Trips offers daily whitewater trips on three types of rafts. You can even join us for dinner on the river when you select our famous Riverside Steak or Trout Cookout trip. Teton Scenic Float Tours wants want to make your scenic float trip an experience you will never forget. Experience a unique view of the Tetons and wildlife from aboard an inflatable river raft. A Wild & Scenic Rafting Trip on the Snake River affords the opportunity to learn about the area where you are likely to spy bald eagles and a host of other wildlife.